Write a C# Sharp program to check three given integers and return true if one of them is 20 or more less than one of the others. Previous: Write a C# Sharp program to check if two or more non-negative given integers have the same rightmost digit. Next: Write a C# Sharp program to find the larger from two given integers. However if the two integers have the same remainder when divided by 7,then the return the smaller integer. 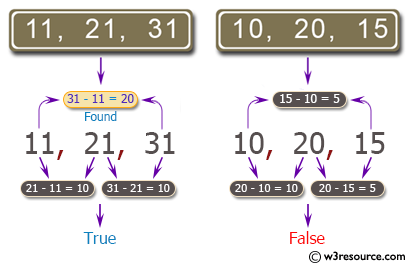 If the two integers are the same, return 0.